The United States and China couldn’t have more different political systems. But with Barack Obama re-elected on Tuesday as U.S. president and China’s new leaders taking over next week, there is reason to hope they can see eye to eye. If Obama builds on America’s recent prudent diplomacy, the two superpowers’ rivalry can be constructive. The U.S. president’s first challenge is to keep a cool head. The election run-up wasn’t encouraging. Obama and Mitt Romney, his Republican opponent, both rattled sabres at the People’s Republic as they campaigned for the White House. Romney even claimed that he would, on his first day as president, brand China a currency manipulator – a designation that can lead to retaliatory tariffs. There could be more lashing out, this time from Xi Jinping, the Chinese president-in-waiting, and his officials as they try to establish credibility at home. But Obama can now afford not to retaliate. His administration has also handled past crises fairly well. Dialogue continued behind the scenes even through hiccups like the case of Chen Guangcheng, the blind activist who earlier this year fled from house arrest to the U.S. embassy in Beijing. Another flashpoint is investment. Obama could do better, say by collaborating more freely with U.S. businesses to promote mutual interests in the Middle Kingdom, or by defusing anti-China protectionism in America and other developed countries. But his record is also reassuring in some respects. 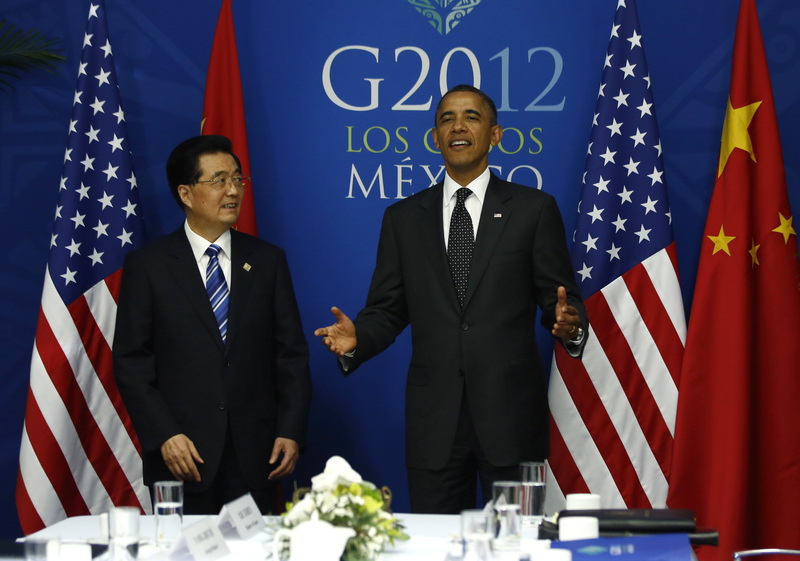 In his first two years in office, direct investment into the United States from China doubled. Xi and his politburo could help too, by increasing transparency surrounding the nation’s giant state-owned enterprises. The China-U.S. relationship is arguably the world’s most important and, in GDP terms, the two could be economic equals within 15 years. That may bring an increase in geopolitical sparring in the coming years, especially given Obama’s foreign policy “pivot” toward Asia and China’s disputes with its neighbors over oil interests in the South China Sea. But the two heavyweights need each other, both as trading partners and competitors to keep each other in shape. Obama is no newcomer, so he can engage right away. Romney would have taken months to get to know the men in charge of China for the next decade. Continuity and a track record count for a lot. President Barack Obama won re-election to a second four-year term as president of the United States on Nov. 6. The Chinese Communist Party’s 18th Congress began in Beijing on Nov. 8. On Nov. 15, observers expect the next generation of leaders to be unveiled, with Vice President Xi Jinping widely expected to take over as the party’s general secretary from Hu Jintao, who is also currently China’s president. The Chinese political cycle runs in five-year terms, and Hu has held office for 10 years.